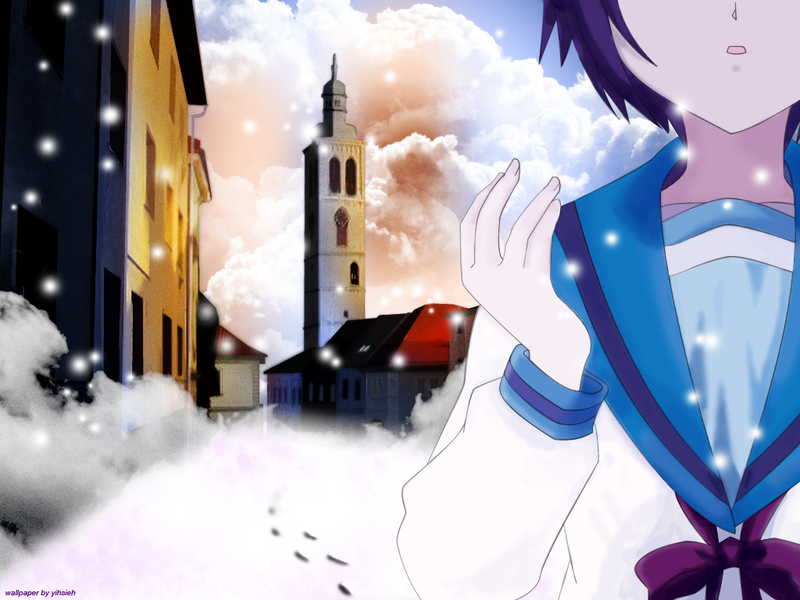 The Melancholy of Haruhi Suzumiya. . HD Wallpaper and background images in the funkyrach01 club tagged: funkyrach01 wallpaper. This funkyrach01 wallpaper might contain sisa salji, bank salji, and snowbank.